Laser Lounge Med Spa is now offering PRP facials with micro needling, the PRP facelift, and PRP Hair Restoration. 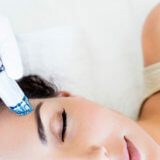 Platelet Rich Plasma treatments, aka PRP treatments are on the rise in the aesthetic industry. PRP treatments have been used for years to successfully treat sports injuries, arthritis, chronic plantar fasciitis and more. PRP is plasma concentrated with more platelets than what is typically found in blood. Platelets contain hundreds of proteins called growth factors, important to healing soft tissue injuries. The technique involves drawing blood from the patient, it is then spun down in a centrifuge for 6 minutes at a pre-calculated speed to retrieve the most viable fibrin platelets. After centrifugation, the platelet and fibrin component of the blood is extracted. Platelet Rich Plasma stimulates new cell growth in the patient’s body wherever it is injected. It helps the body heal itself the natural way without using chemicals or foreign substances of any kind, and with no down time. The possibility of an allergic reaction is almost nil because the plasma comes from the patients own body. The PRP facial stimulates collagen production in the skin using micro-needling. PRP will stimulate new cell growth, add volume to the skin to reduce the appearance of fine lines and wrinkles, minimize the appearance of scars and stretch marks. 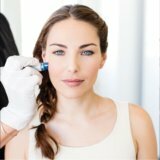 Micro-needling breaks up any present scar tissue, and the PRP deposits the proteins back into the skin tissue to aid in the growth of new tissue. The PRP facelift is a non-surgical treatment, with little to no down time. PRP which contains 8 different types of growth factors, are injected back into the dermal layer of skin to improve texture, and create fuller and tighter skin. PRP can be injected back into the face alone or mixed with dermal fillers. PRP Hair Restoration is a non-surgical treatment that involves using PRP with micro needling or by injecting the PRP into the scalp. The growth factors within the PRP restore and heal the scalp with a healthy growth of hair follicles and aid in preventing any further hair loss.